A Rollins-owned boutique hotel, The Alfond Inn is located within walking distance of both campus and downtown Winter Park. It boasts a AAA Four Diamond Rating and an impressive art collection. 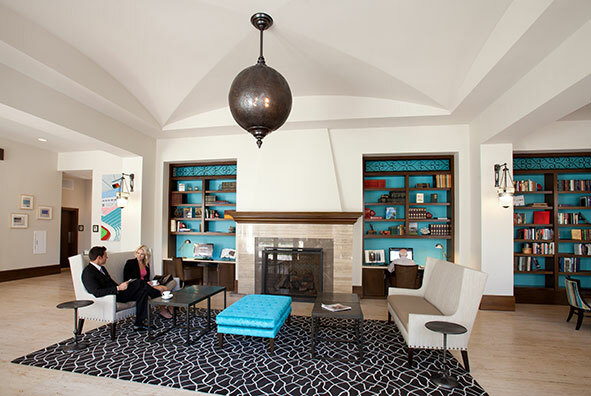 Condé Nast Traveler recently ranked The Alfond Inn as the No. 1 hotel in Florida, the No. 7 hotel in the U.S., and the No. 63 hotel in the world. 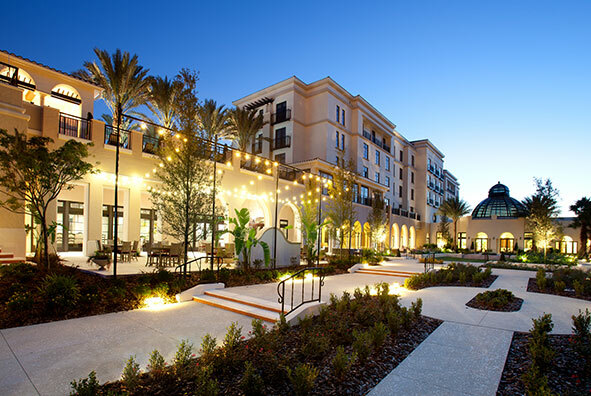 The Alfond Inn is located within a short walk of both the Rollins College campus and downtown Winter Park's premier shopping, dining, and entertainment options. Profits from The Alfond Inn are directed to the Alfond Scholars program, Rollins College's premier scholarship fund, which offers full scholarships to deserving students. The Alfond Inn features an impressive art collection, a vibrant courtyard, luxury pool, full-service bar and restaurant, and much more. 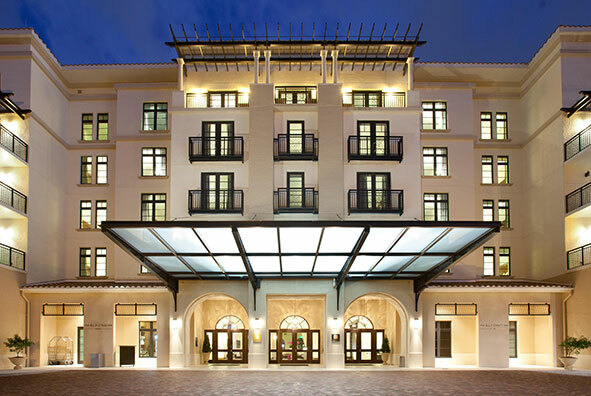 Owned by Rollins and operated by The Olympia Companies, The Alfond Inn at Rollins College opened August 18, 2013, and achieved the esteemed AAA Four Diamond Rating in its first seven months of operation. The $32.5-million boutique hotel was funded in part by a $12.5-million grant from the Harold Alfond Foundation. With this extraordinary gift, the Rollins College Board of Trustees decided to act on their strategic priority of constructing a hotel. 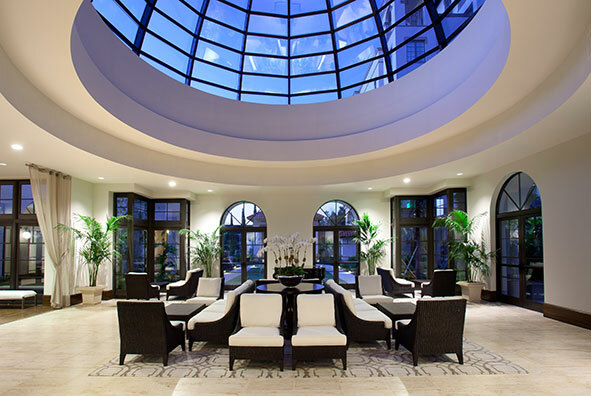 Designed specifically for the Winter Park community and developed on property the College owns (a landmark site that was formerly the home of the Langford Hotel), The Alfond Inn features welcoming guest experiences at every turn. Conveniently situated at the intersection of East New England and South Interlachen Avenues, this boutique inn provides accommodations within walking distance of Rollins and enables both the College and community to host social and professional events that previously could not be accommodated on campus or in the community. Additionally, the unique structure of the Harold Alfond Foundation grant established an endowed fund for the Alfond Scholars program—the College’s premier scholarship fund, which offers full scholarships to deserving students. Net operating income from the Inn will be directed to the scholarship fund for the first 25 years or until the endowment principal reaches $50 million, whichever comes later. The gift is the latest and largest in a long history of contributions to Rollins College by the Alfond family. The late Massachusetts-born Harold Alfond, who founded the Dexter Shoe Company, received an honorary doctorate from Rollins College in 1997 and is known for his education-centric philanthropy efforts. In addition, The Alfond Inn has connections to Rollins College from an artistic perspective. Longtime donors and alumni Barbara ’68 and Ted Alfond ’68 established The Alfond Collection of Contemporary Art for Rollins College. The 240-plus piece collection, which was exclusively chosen for the College’s Cornell Fine Arts Museum, is displayed throughout public areas at The Alfond Inn. The various pieces were chosen because they embody the values of a liberal arts education through the use of 21st-century art.